The constant development of technology has impacted our lives in incredible ways, and it has also transformed the way we manage and take care of our health. In the age of hyperconnectivity, information has become more accessible than ever. People are now brought closer to important medical resources and they can easily find answers to their dilemmas online. The gap between medical experts and people seeking healthcare has narrowed down thanks to the Internet, or more precisely – telemedicine. New methods of self-care are now possible and this has democratized medicine to a certain degree. Telemedicine uses telecommunications technology to provide healthcare to patients at distance. Video and audio calls, as well as text messaging via desktop computers and mobile devices, are the most common means of communication between medical professionals and patients. It can be used in standard clinical care, counseling or therapy, or any type of medical training and support. Technology has enabled remote patient monitoring. So, why is this important? It’s not just about convenience, but also necessity. For instance, there are people who are too ill to visit the clinic or who don’t have access to adequate transport. Driven by the honest commitment towards increasing access to quality healthcare, Doxy.me was founded in 2013. Although healthcare should be a right and not a privilege, the world often shows us a different picture. In terms of care accessibility, it seems like health is a luxury not given to many. Medical costs can be incredibly high. Patients are often unnecessarily sent to expensive facilities or they are advised to take additional tests, and people know how precious health is so they just do as they are told. Although healthcare should be a right and not a privilege, the world often shows us a different picture. In terms of care accessibility, it seems like health is a luxury not given to many. Another problem is the limited access to doctors. Due to their busy schedules and an obvious short of staff, wait times can be incredibly long. The 2017 Survey of Physician Appointment Wait Times has shown it now takes an average of 24 days to schedule new patient physician appointment in bigger cities in the U.S., which is alarming. Due to other possible flaws in the health system, those that need immediate care might not receive it timely. So, how does Doxy.me contribute to solving these problems? Doxy.me is a telemedicine solution that’s simple to use and most importantly – completely free to use. It was founded by Brandon Welch, MS, PhD is an Assistant Professor in Biomedical Informatics and Director of the Telehealth Research and Innovation Program at the Medical University of South Carolina. The idea for actually creating Doxy.me came to Welch when he was completing his PhD in Biomedical Informatics and was assigned to find a simple telemedicine solution for a clinical research study. To his surprise, there wasn’t a single free solution out there. The 2017 Survey of Physician Appointment Wait Times has shown it now takes an average of 24 days to schedule new patient physician appointment in bigger cities in the U.S., which is alarming. 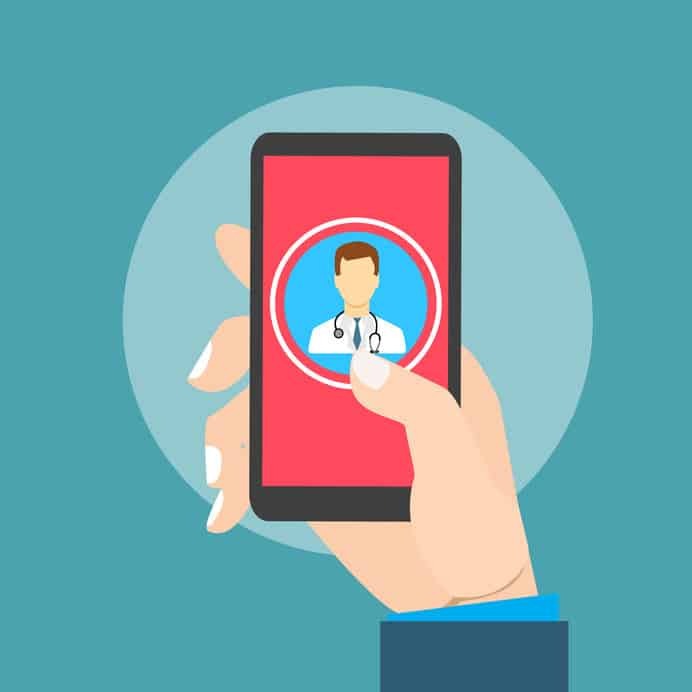 The team has clearly defined their mission to make telemedicine accessible to everyone as they see it as a valuable complement to traditional medical care, not its replacement. It enables healthcare professionals to provide care within the standard clinical workflow (e.g. patient check-in, waiting rooms), so that the patients experience a natural visit. Doxy.me offers free and secure video calls for medical professionals. In order to join the call, patients do not need to make an account nor to download any type of software. All they need to do is enter their clinician’s personalized URL web address to check into their physicians’ virtual waiting room. Doxy.me is completely secure and compliant with HIPAA and HITECH requirements, while the BAA is included with the signup. This means all patient data is safely protected (with 128-bit encryption), but never stored by Doxy.me. Patients remain anonymous to Doxy.me and no PHI or other type of data gets recorded. When the call ends, all of the data is permanently destroyed. The way Doxy.me is designed protects the doctor-patient confidentiality and strengthens the relationship between healthcare providers and those who need support. It is instantly accessible from everywhere – your desktop, tablet, or smartphone, which is an additional convenience. In addition, Doxy.me is very committed to listening to feedback from their users and making improvements. There is a community forum where users can discuss different elements. This is the space where the team shares updates on troubleshootings or any possible glitches. How Come Doxy.me is Free? Telemedicine has been a great means in managing mental and behavioral health, as well as medication intake. It also helps with treating chronic diseases that need continuous monitoring (such as diabetes), in sleep medicine and prenatal care. It is especially helpful in cancer care: oncologists can provide emotional support and monitor health remotely so to lessen the burden on the patient and his or hers caregiver. At Doxy.me, the team strongly feels cost should not be a barrier to telemedicine. But of course, such a humane mission does not pay the bills. The fact is, Doxy.me does offer premium features for individual healthcare professionals ($35 per month) and clinics ($50 per month), but has an always free version for both care receivers and caregivers. Doxy.me phonetically pronounced sounds like “doc see me”. Also, Doxy is a Greek root suffix meaning “knowledge, truth, or wisdom” (eg ortha-doxy). Pretty clever! We at Domain.me are always thrilled to see how creative our users are at coming up with catchy domain hacks. In addition, it’s always an honor to serve as an online home to companies and organizations that are driven by a noble goal, such as making healthcare accessible. And what about you? Do you have an extraordinary idea that could help people? Come up with a savvy domain name that’s impossible to forget, use .ME to share your idea with the world!